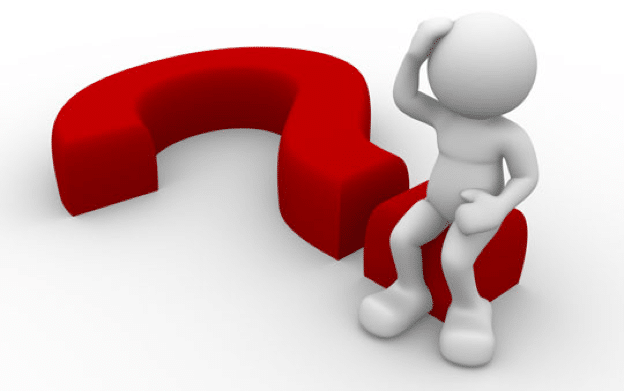 A BIG question that should never go unanswered in Private House Sales. The key to knowledge is not what you think you know, but recognising what you don’t know, and asking the right questions to find the answers. If you are selling your home or property with a traditional agent, they, if good enough, will fill you in every step of the way and encourage you to ask questions to fill in the gaps so you can make informed decisions. Should you take advantage of the growing opportunities to sell your own home and save all that commission, then you may feel that you are all on your own and find it hard to ask yourself the critical questions to get your property sold. I think I’ve heard them all, and after a while home sellers buy into the story. Then frustration grows, the seller/agent relationship frays as time goes on and the poor old agent ends up losing the listing and the seller has a tale to tell about the crap agent they hired. The number of agents who are not willing to have ‘the conversation’ with their sellers around the three critical components I am about to expand upon continually blows me away. When we are talking about for sale by owner scenarios, the blame game disappears and whilst the home seller has control over the sale, some responsibility and self-assessment comes with it. A private home seller needs to look within, if their property is not drawing buyers or offers, and ask themselves the question, “Why hasn’t my house sold?” and be prepared to answer it based on just three controllable criteria. Is it well presented and portrayed to IMPRESS buyers? Has the property been presented to impress buyers and are the images being used in the marketing reflecting that? Is the headline describing a big benefit to a buyer? Is the description short, sharp and interesting? Is the home or property being promoted to REACH buyers? 95% of buyers find their next property on the big websites: realestate.com.au and domain.com.au. Is the property listed on these sites and has the seller invested wisely in enhanced/larger ads that can position it favourably against the local competition? Is the property being shared on social media? Most buyers are on Facebook, Instagram, Twitter – is your property? Is the home or property priced to ATTRACT buyers? I know I sound like a broken record but if ANY seller continues to ignore the value attraction principle – you are in for a long, tough haul. Many sellers think that they might under-price their property and hand up a bargain to buyers on a silver platter. Trust me, this is never the case! Over pricing is almost always the biggest issue. The deafening silence of the market: Little or no direct enquiry, very few or no attendees at open for inspections. OR; steady enquiry rates, reasonable to good numbers through open homes or one-off inspections – but no offers. Somebody get this man a drink! 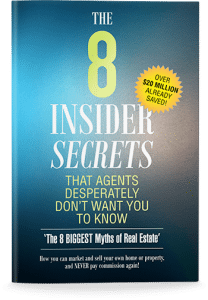 I recently had a conversation with a lady who was an Agent in a Box client, and her property had been on the market for about 8-9 months. She had waited all this time to talk to us?! She called to discuss re-arranging the deck chairs on the Titanic read about this here and was ready to dissect our proven methodology of 17 years of successful marketing and sales experience. I asked her a couple of vital, and incisive questions to help her get a grip on her situation. “Yes, of course!” A little indignation came with the answer. “Ok, how many inspections, that is individuals or groups of people have been through your property – 30, 40, 50? Lucky I was sitting down – I felt faint. Somebody get this man a drink!! After a further conversation she decided to ‘rest’ the property for a while and have another go in a few months. Sadly, she had taken around 9 months to ask herself the question “Why hasn’t it sold?” and when the answer was crystal clear, it probably wasn’t the one she wanted to hear. Once you, as a sell my own home advocate, can find the strength to ask yourself that question and answer it honestly from the only three controllable resources available: Presentation, Promotion and Price; you are well on your way to getting the job done with a minimum of angst and fuss.